A successful company’s financial toolbox should contain more than your annual reports and profit forecasts. The lifecycle of a company begins with an idea, grows through hard work, and eventually transitions ownership leaving behind a lasting legacy. 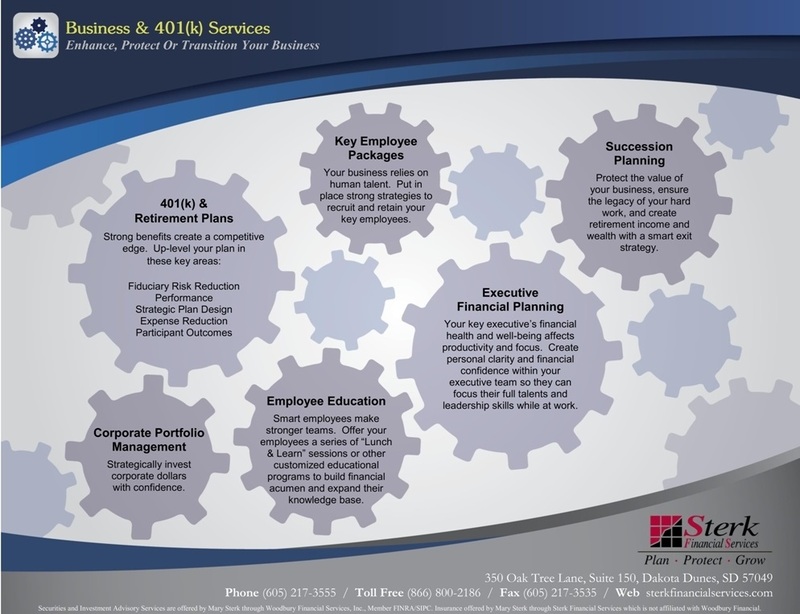 Sterk Financial’s Business & 401(k) Services program is a specialized set of tools to help you through each phase of your business growth and transition. It’s no secret that when you invest in talent, you are investing in the future of your business. Our executive financial planning, employee education services, and retirement plan management focuses that investment on your teams long term financial success and day to day productivity. When you are ready to transition out of the company, it’s important to secure both your own financial future alongside that of your business. Our succession planning services help you design a plan so that when you retire, your business can keep growing. Our goal is simple - to provide you with a set of resources that can aid your business success every step of the way. 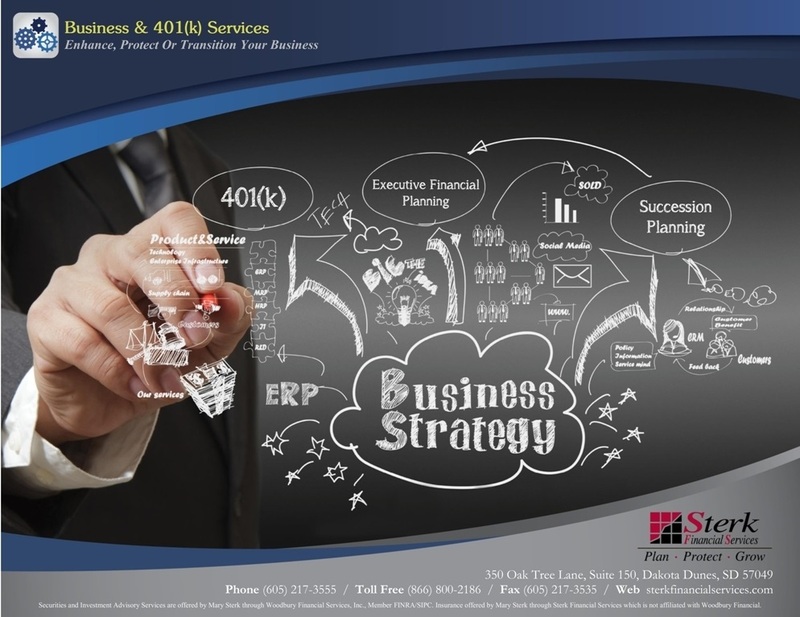 Call us to learn how we can help enhance, protect or transition your business and up level your employee’s financial outcomes.